Barnes & Noble announced on Monday that it's offering a special deal today (December 3rd) and tomorrow for anyone who purchases a Nook HD or a Nook HD+ with a MasterCard. The bookseller will offer a free $20 Barnes & Noble gift card to anyone who buys either tablet online, and will also provide free shipping. It's a pretty decent special, especially if you're planning to give one of the tablets as a gift this holiday season: why not toss in the $20 gift card so that your son, daughter, mom or dad can immediately buy apps, books, movies or other media? New York, New York – December 3, 2012 – NOOK Media LLC, a subsidiary of Barnes & Noble, Inc. (NYSE: BKS), the leading retailer of content, digital media and educational products, today announced a special savings offer on the recently announced and critically acclaimed NOOK HD and NOOK HD+, just in time for the holidays. On Monday, December 3, and Tuesday, December 4, customers who purchase NOOK HD and NOOK HD+ online at www.nook.comusing a MasterCard® card will receive a free $20 Barnes & Noble Gift Card, along with free shipping, while supplies last, see site for details. In addition to giving the gift of the top-rated reading and entertainment products available, shoppers can also use the Gift Card to purchase great new eBooks, magazines and apps, or a stylish accessory for NOOK. With the highest resolution 7-inch display, reading and entertainment content looks better than ever on NOOK HD. 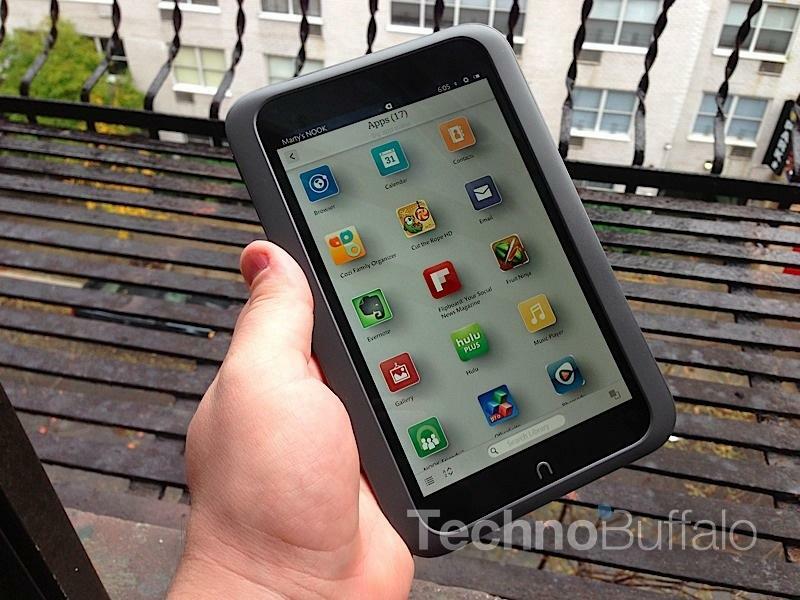 At only 11.1 ounces (315 grams) and just 5-inches wide, NOOK HD fits beautifully in the hand, and is more than 20 percent lighter and nearly a half-inch narrower than Kindle Fire HD, so customers will want to take it everywhere. The world's most exceptional 7-inch reading and entertainment tablet is available in two colors, "Snow" and "Smoke," starting at just $199 (8GB) and $229 (16GB), and is now an even better value with a free $20 Barnes & Noble Gift Card when you purchase with a MasterCard card atwww.nook.com on Monday, December 3 and Tuesday, December 4. For those who want to enjoy reading and entertainment on a larger scale, NOOK HD+ offers a must-see full HD 9-inch display for up to 1080p for movies, magazines and more. The fully laminated display reduces glare and provides excellent viewing angles, perfect for personal or shared viewing. At only 18.2 ounces (515 grams), NOOK HD+ is the lightest full HD tablet ever invented. Offered in the color "Slate," and featuring great battery life and expandable memory for even more storage, NOOK HD+ is available for $269 (16GB) and $299 (32GB), and is now an even greater value with a free $20 Barnes & Noble Gift Card when you purchase with a MasterCard card at www.nook.com on Monday, December 3 and Tuesday, December 4. For customers shopping for the perfect holiday gift this season, Barnes & Noble offers Always Free NOOK Support in all of its neighborhood bookstores and NOOK Digital Shops™. Barnes & Noble NOOKsellers™ across the country will be on hand to demonstrate and answer any questions about the latest additions to the award-winning NOOK portfolio. For more information on NOOK HD and NOOK HD+, customers can visit www.nook.com or visit the NOOK Digital Shops and displays in any of Barnes & Noble's nearly 700 bookstores nationwide.